Earlier this week, President Donald J. Trump surprised virtually everyone by announcing that the United States would recognize Israel’s sovereignty over the Golan Heights. Much less surprisingly, the statement sent all political and security experts in a buzz of excitement, confusion, or outright condemnation. Some comparisons were made with Trump’s recognition of Jerusalem as the Israeli capital earlier in his presidency, and questions over the security implications of both decisions were raised. Truthfully, there could not be any two more different instances than Jerusalem and the Golan Heights, and if perhaps the former is a topic of open discussion with regards to the peace process with the Palestinians, the recognition of Israeli sovereignty over the latter should not be a matter of contention. Israel began controlling the Golan during the 1973 Yom Kippur War and claimed sovereignty over the territory in the 1981 Golan Heights Law. More than a discussion on the legality of the matter, the Golan has become an issue raised by both sides with regards to their political and security aspirations. Syria, or better, Assad, views the ‘occupied’ Golan as a daily reminder of the disastrous 1973 War, an ominous reckoning with their umpteenth military defeat, and more practically a privileged terrain with Israeli installations right on their border. On the other hand, Israeli tactical security necessities require it to control the Golan Heights – their supra-elevated terrain had proven times and again to be a marvelous staging ground for rocket launches and military attacks on the civilian population in the underlying valley. For tactical reasons, Israel is not in a position to withdraw from an area that gives them considerable military advantage, this is so especially in light of two other tactical challenges that Israel faces: the historical plain terrain in which it traditionally fights, which gives neither side an upper hand in military operations, and the more modern challenge posed by urban fighting. 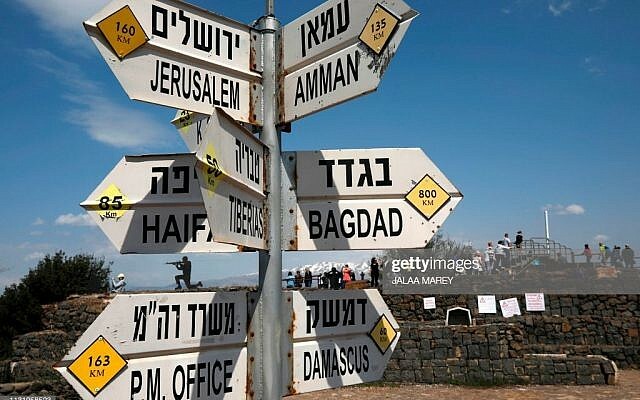 Nonetheless, in light of recent events in Syria and the upsurge of terrorism from the Palestinian-controlled territories of the West Bank and Gaza, the Golan Heights seemed to have finally subsided as an international point of contention. Simply put, they were rarely in the news. Until this week, when President Trump announced via Twitter the American recognition of the region as Israeli territory. The response was mixed, with many commentators pointing at the political advantage that the announcement gives to countries of the likes of Iran and Turkey, and the damaging effects it may have on Israel and the United States. In reality, the situation is much more complicated, but perhaps more positive overall. Now, what are the practical similitudes between the recognition of Jerusalem as the Israeli capital and of the sovereignty on the Golan Heights? Probably, none. Firstly, the Oslo Peace Process identified Jerusalem as a further point of discussion between Israel and their Palestinian counterparts to achieve a long-lasting peace. Regardless of the failures of the peace process and the current stalemate, Oslo remains the most important precedent in any peace talks between the two sides and it is universally agreed that without a clear definition of the status of Jerusalem there can be no peace. Therefore, regardless of one’s political inclinations, it is undeniable that the United States’ recognition of the city as Israel’s capital muddied the water for what future negotiations with the Palestinians will look like. On the other hand, there are no such discussions with the Syrians with regards to the Golan. Israel is adamant in not putting the Golan Heights on the negotiating table with the Syrians for the aforementioned tactical necessities, and the Syrians have yet to prove reasonable partners for peace. Today more than in the past, with the considerable investments of Russia and Iran into the civil war on Assad’s side, there is little hope to see the Syrians promote peace talks with the Jewish State. Thus, politically speaking, the Golan Heights are not a bargaining chip for peace – not yesterday, not today, and most certainly not in the future. From the military viewpoint, Jerusalem and the Golan could not be more different. Jerusalem is held by both sides as an ideological and moral issue, the cradle of their religion respectively, thus serving as a spiritual incentive for military action. Although it does not provide any tactical benefit, Palestinians and Israeli Jews are willing to virtually ‘risk it all’ for Jerusalem. The military benefit of controlling the city is perhaps a grand strategic one, to signal strength vis-a-vis the other side. Conversely, the loss of Jerusalem proves a potent motivator for military action to regain it. It is not a coincidence that following the move of the American Embassy from Tel Aviv to Jerusalem, Palestinian violent protests broke out across the country. The Golan Heights, on the contrary, have no moral strings attached. As aforementioned, they are an important military staging ground due to their altitude, but no more than that. This explains why for so long they were merely claimed in international fora but no concrete action was taken by the Syrians to win them back. Moreover, in the future, if Assad was committed to somehow fight over the Golan, he would do so with or without the American recognition of Israeli sovereignty over the region. As for the claimed advantages that this announcement gives Russia and Iran, there is little evidence that such truly exist. Some have claimed that Russia could be motivated by Trump’s statement to claim Crimea in the same fashion that Israel claimed the Golan, hence preventing the United States from condemning it. Others pointed to the political and diplomatic weapon that Iran now has to condemn Israel. Truthfully, Trump’s statement did not change anything. Russia could have used all other issues in the Israeli-Palestinian conflict as a precedent, or excuse, for their occupation of Crimea – the West Bank, Israeli control over Gaza until 2005, Jerusalem, and so on -, but there is no evidence that the Golan Heights would spur Russian diplomatic efforts in any considerable way. Secondly, Iran has a number of politico-diplomatic ammunitions against Israel and has been preaching anti-Zionist rhetoric for decades. How exactly Trump’s recognition of the Golan would provide Iran’s decade-long claims with renewed legitimacy is yet to be determined. Simply put, both Russia and Iran are great preachers of their own rhetorics, but they traditionally preach to the choir. The statement on the Golan is not likely to bring more converts into their ranks. To sum up, what truly deleterious effects for Israel does Trump’s statement have on the situation of the Golan Heights? Possibly, none. 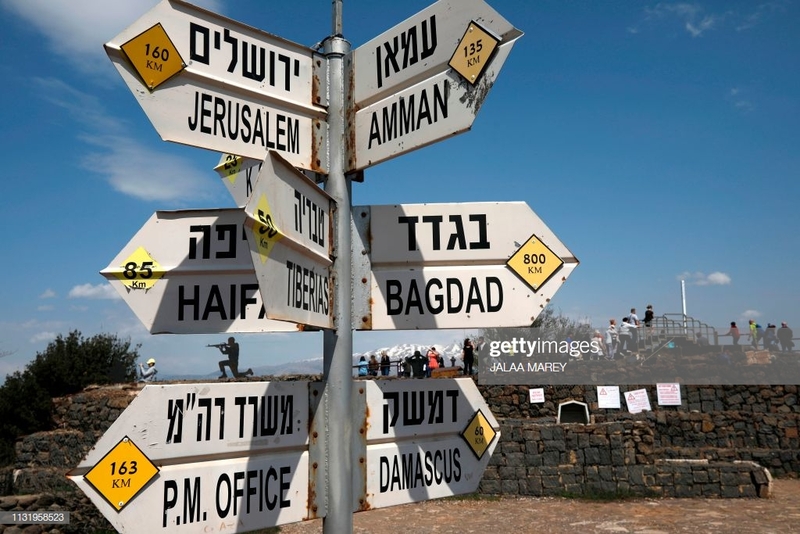 Because there are no current peace talks undergoing between Israel and the Assad regime, the status of the Golan is a matter of geopolitics and political affiliations, but it is not likely to change in the near future. The sides are not morally invested in the Golan as the Palestinians and the Israelis are with regards to Jerusalem, thus no violence is to be expected following Trump’s decision. Israel has controlled the region for forty-six years, it has shown no intention of changing its status and is not likely to enter negotiations with Assad, neither today nor in the near future, that would make them put the Golan on the negotiating table. The tactical advantage provided by the Golan Heights is too great for a country surrounded by enemies like Israel to give them away, and Syria had not, and still has not, the military might to gain them back. Trump’s statement, therefore, is virtually meaningless. On the other hand, Israel has held the Golan for almost five decades, it has protected it from all sorts of rocket launches coming from the northern states, and had administered it like any other region in its territory. Also, it has no intention of ‘returning’ the Golan to Syria. Thus, perhaps, Trump’s statement is less of a change in policy and more of a long-overdue recognition of the facts on the ground. 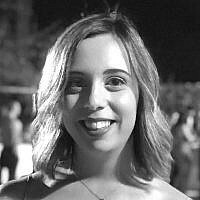 Carol Cieri is an MA candidate in the Center for Security Studies at Georgetown University. Her academic interests focus on the challenges posed by terrorism, both domestically and abroad, and the international implications of the Arab-Israeli conflict. She earned her BA from IDC Herzliya in July 2018, majoring in Counterterrorism and Middle East.